I am quite privileged to share with you that today I will be featured as part of the Dinner Party Spotlight series on Fashionable Hostess. When the site’s creator, Amanda Gluck invited me to participate, I couldn’t say yes fast enough! 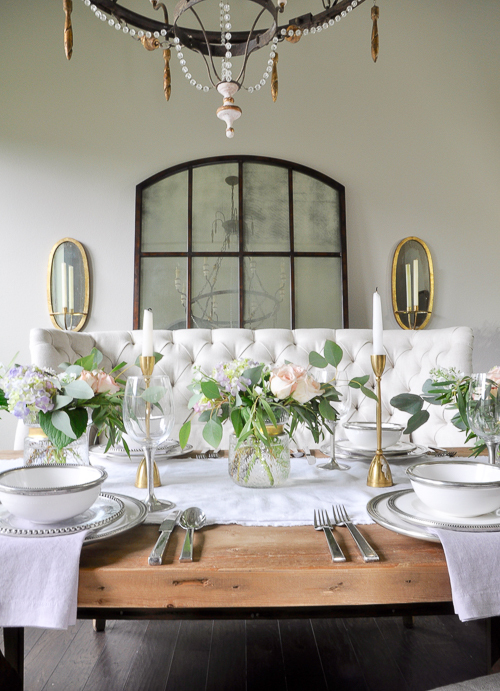 She does an amazing job at inspiring the decor community. Here you will find tremendous inspiration from events and decor, to entertaining and literally everything related to being a fabulous host. 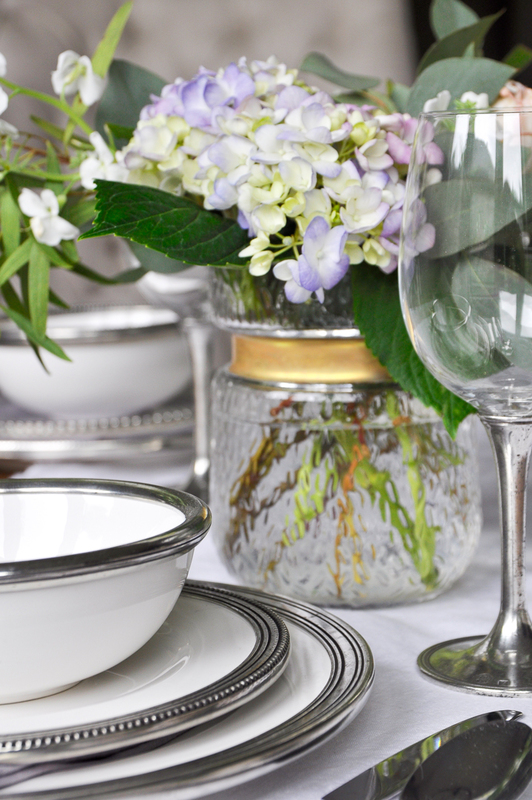 Today, I am sharing a sneak peek of my tablescape. You will be able to see the full party first thing tomorrow morning. Check back for a direct link. Please feel free to share some feedback in the comments section as to what you found most inspiring or simply ask a question once you have seen the full feature. I would love to learn more about your interests. Also, while you are visiting Amanda’s blog, do explore it as it is chock full of great ideas! You can find furnishings for this room here. All dinnerware is by Arte Italica. 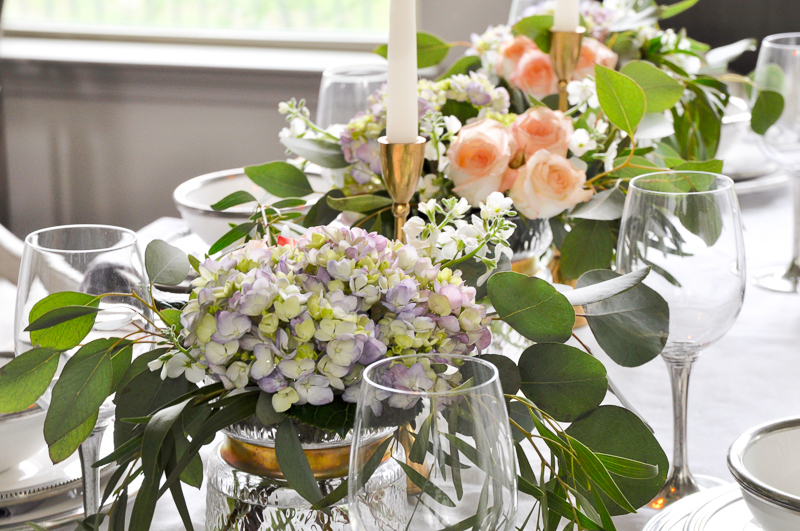 Look for this tablescape there! Congrats! Excited to check it out… but on a side note: LOVE the hair! You are so sweet Bree! Thank you!!! I love the combination I bought a similar headboard and getting ready to paint walls and going crazy trying to figure out what color so I can get the same or similar look. Thank you for your kind words! The paint is a light taupe color, but unfortunately it is a custom blend. Good luck with your decorating project. It sounds like a room I would love!